I’ve only ever had two other brochures of this type. 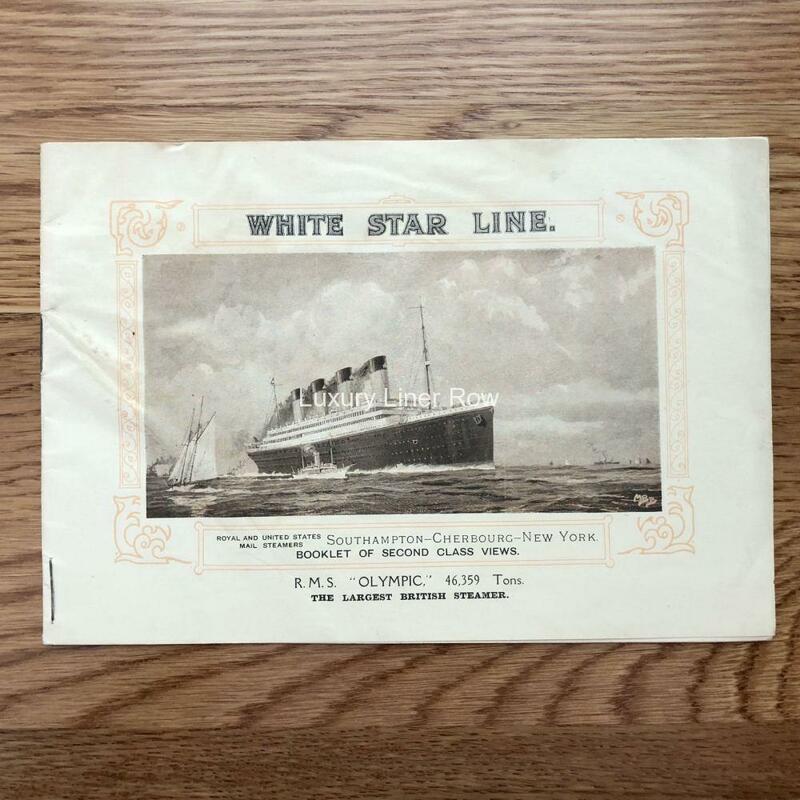 This is an 8-page brochure produced around 1919 when RMS Olympic restarted the Southampton service in conjunction with RMS Adriatic. Majestic and Homeric aren’t even mentioned yet. 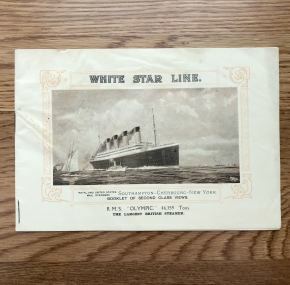 Great painting of the ship by Montague Black on the cover. 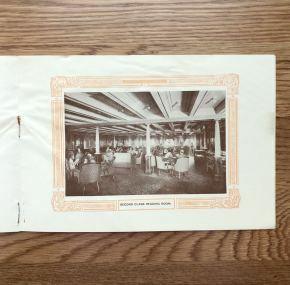 Inside are a number of photos of her second-class public rooms and a cabin as well as a view of her in dazzle doing service in the “Great War.” Of course White Star Line was justifiably proud of her World War I service. 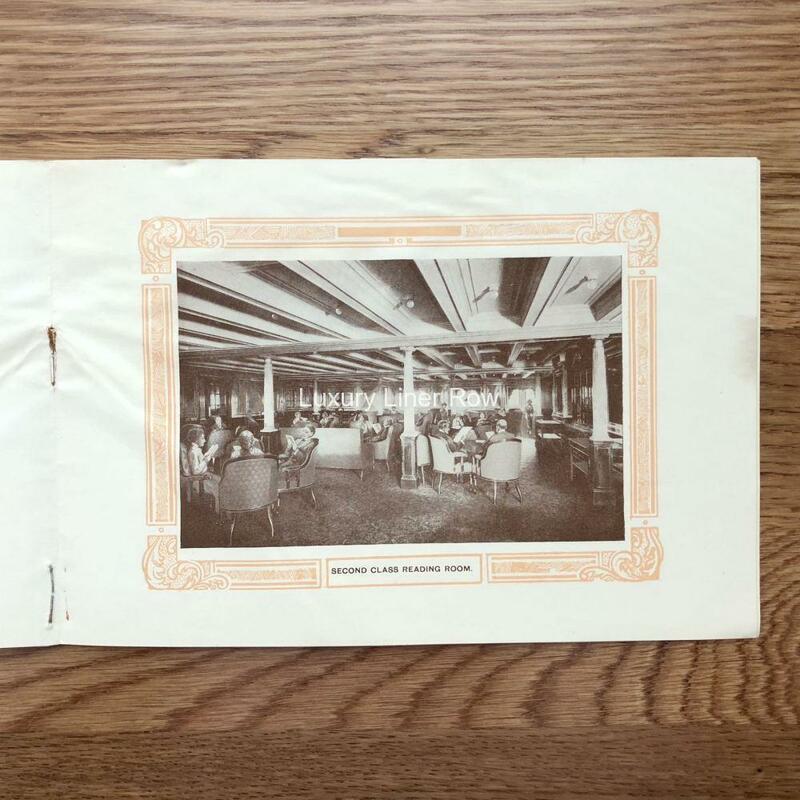 What’s interesting about some of the interiors photos is that an artist has added people to them. Some rust to staples, however much better condition than the last one or two of these I have seen including private collections. So grab it and enhance your Olympic class collection.